The last show of the semester recently opened at the University Gallery. 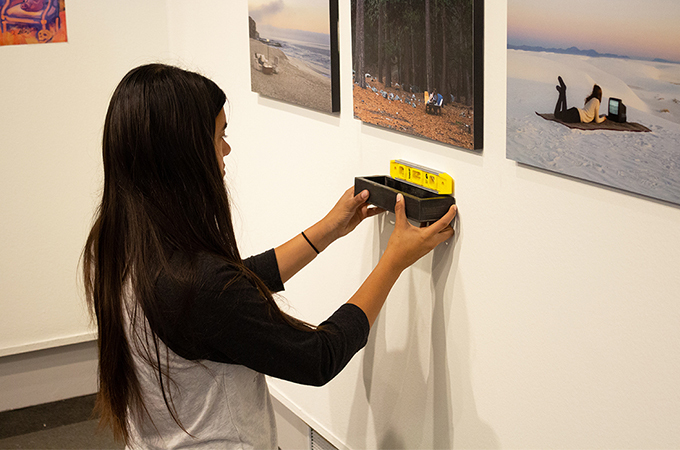 The annual senior art show, this year titled Pieces of Mind, features the final projects created by the graduating seniors in the studio art major. 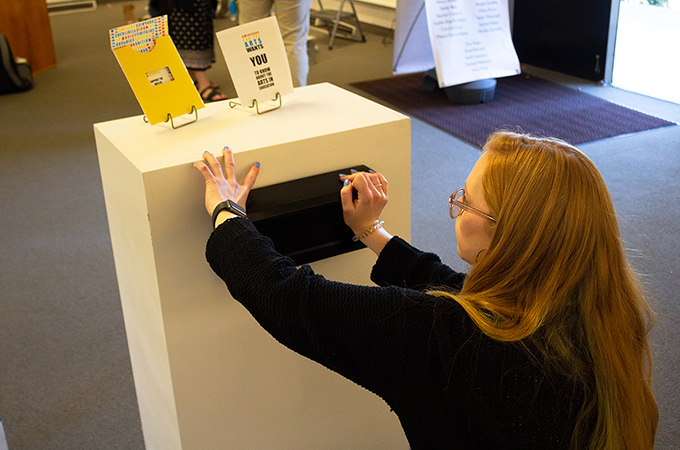 Pieces of Mind is the culmination of the studio art capstone semester in which students worked on projects of their choice, with guidance from Professor of Graphic Design Penny McElroy and Professor of Sculpture Raúl Acero. The capstone course is designed to be a more individual experience, so while the students weren’t completely left on their own, they had to be vigilant about asking questions when they needed help or wanted feedback. 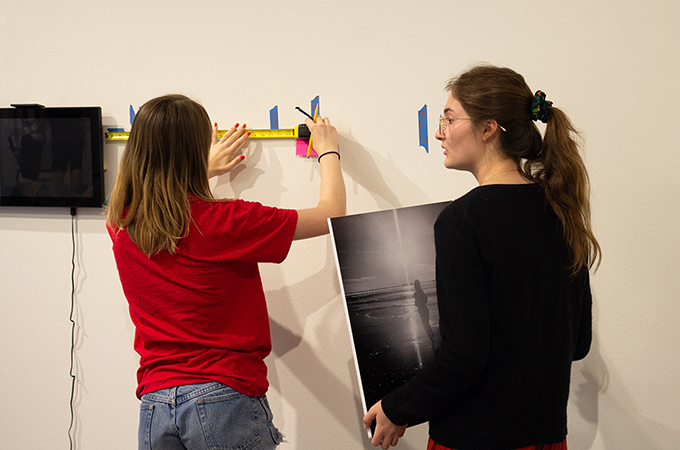 Students in each of the emphases—graphic design, photography, painting/drawing, and sculpture—had the complete freedom to create art they felt would help propel them into their chosen field; thus, the variety of work in the show is wider than one might expect. It includes animation, books, branding materials, digital paintings, and sculptures, along with photography in a vast number of subject areas: nature, travel, mental health, sports, and more. The seniors worked together to create each aspect of the show, from the promotional materials to the design of the gallery space itself. 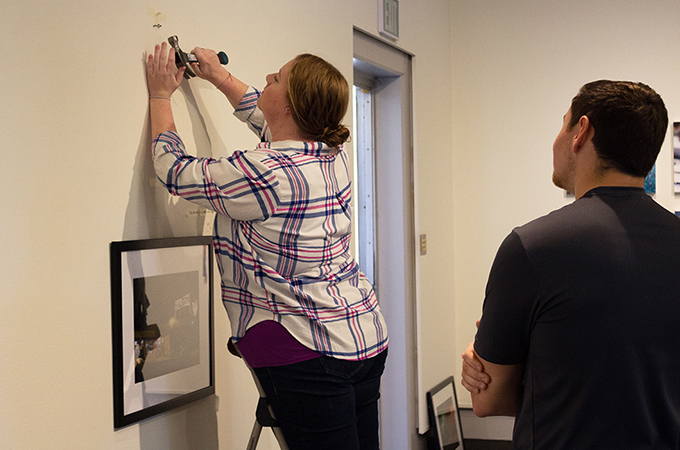 Two days of class were spent deciding where each piece would go, hanging and displaying the work, and adjusting the lighting, which was more meticulous than one might think. Instead of an opening reception, a closing reception will be held on Thursday, April 19, from 4:30 to 6:30 p.m. All are invited to enjoy refreshments and live music, meet the artists, and support the seniors as they prepare to embark on the next step of their journey. Pieces of Mind will be on display at the University Gallery on Colton Avenue until Thursday, April 19. The gallery is open from 1–5 p.m., Tuesday through Friday, and from 2–5 p.m. on Saturdays and Sundays. To learn more about the studio art major at the University of Redlands, see the Art Studio web pages.